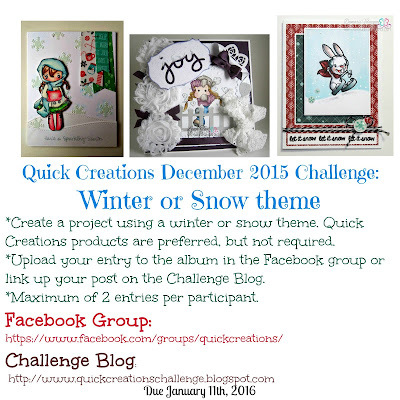 November Winner & December Challenge: Winter or Snow! I just love the colors and everything about it, don't you? The prize is a $10 code to use in the shop! I will contact you with your prize information. All the challenge information is included in the photo above. 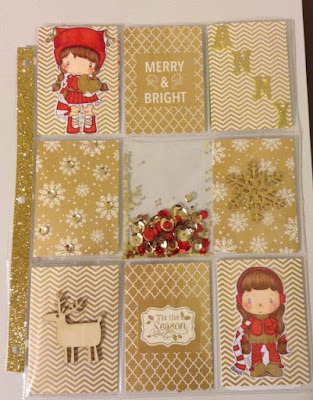 You can use a stamp, die, or whatever item of your choosing and it doesn't have to be a card. 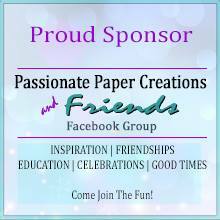 Have fun creating, I can't wait to see your creations! 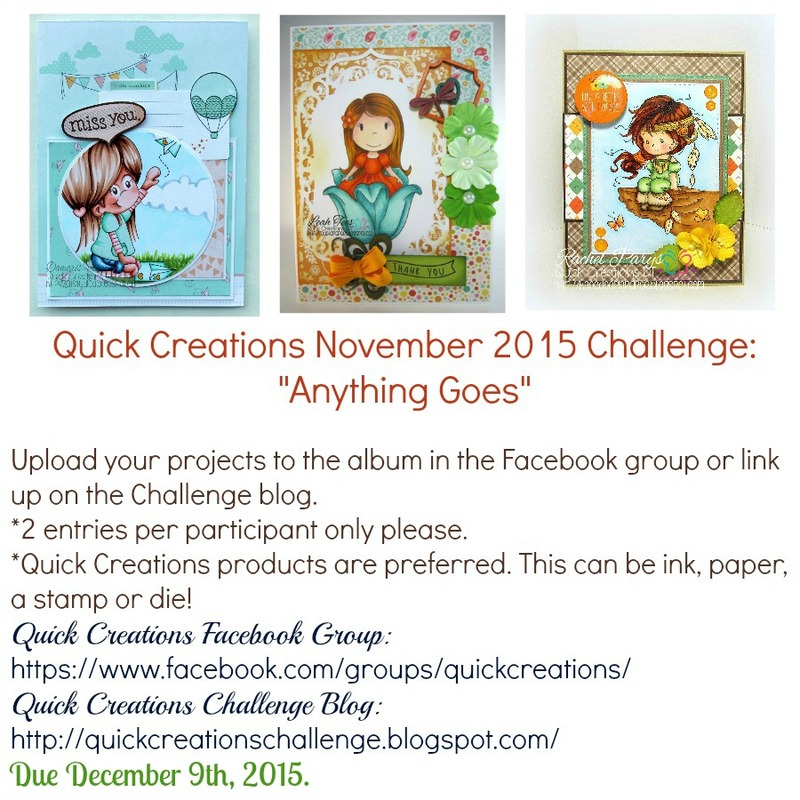 November 2015 Challenge: "Anything Goes"
For the November Challenge, I decided on an easy theme of "Anything Goes". Your project doesn't have to be a card. 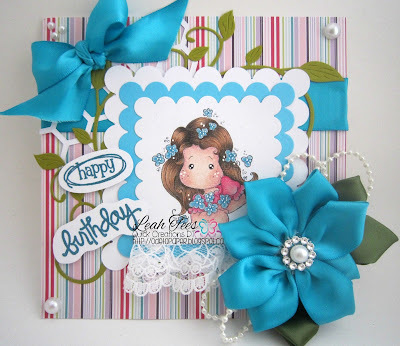 It can be a tag, scrapbook page or any paper crafts creation! I hope to see some more amazing creations this month! Have fun creating! 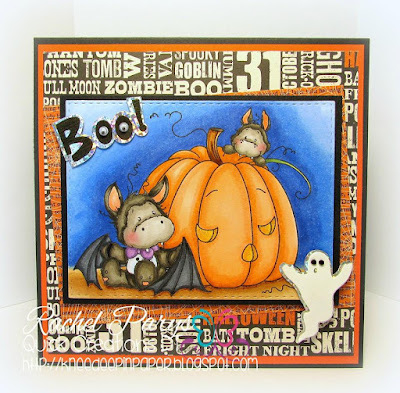 September Challenge Winner & October 2015 Challenge: Halloween Theme! 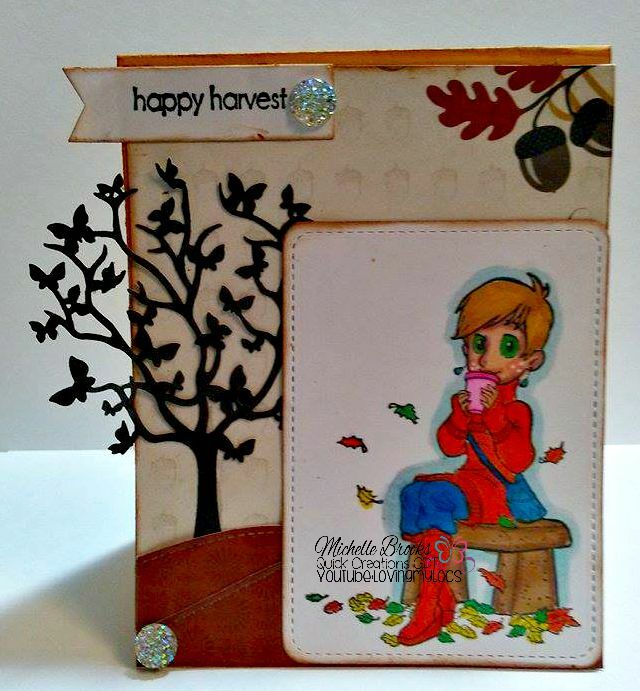 Norma used Saturated Canary "Elphie" Rubber Stamp for her project. Congrats, Norma! 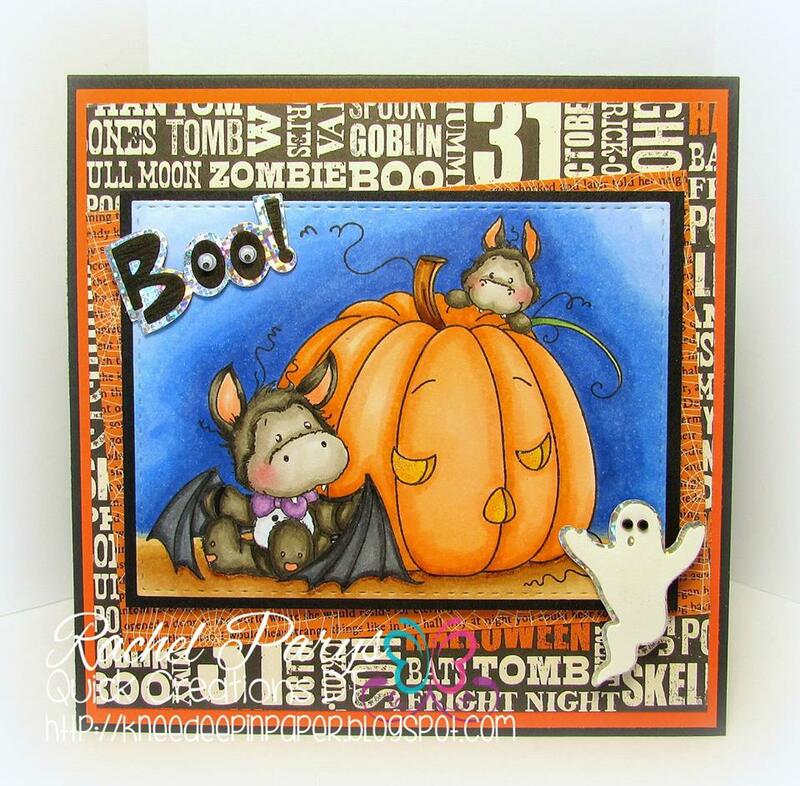 Now for our next challenge for October 2015, the theme is Halloween theme! 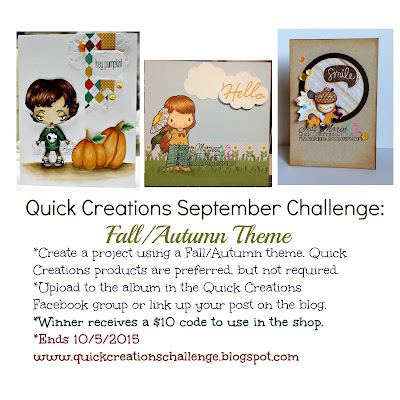 You can find plenty of Quick Creations products using this theme HERE. 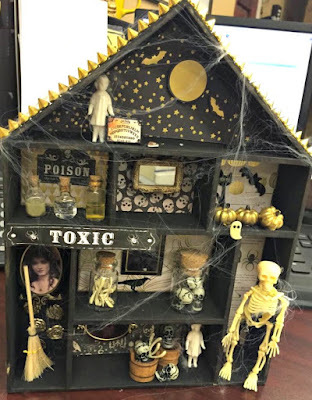 Create a project using a Halloween theme. Products from the Quick Creations shop are preferred. This can be a stamp, die, paper or even ink! Please link to the product used in the shop when possible. The creation doesn't have to be a card, anything you like that is paper crafting related! Please limit entries to 2 per participant. 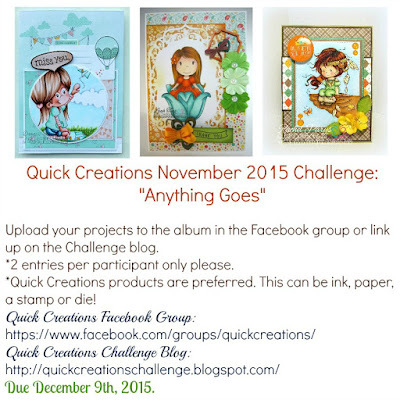 Upload your projects to the album in the Facebook group or link up your post on the Quick Creations Challenge Blog. Due November 7th, 2015 at Midnight Pacific Time. I am looking forward to seeing all of your beautiful creations! Have fun creating! Hello everyone! 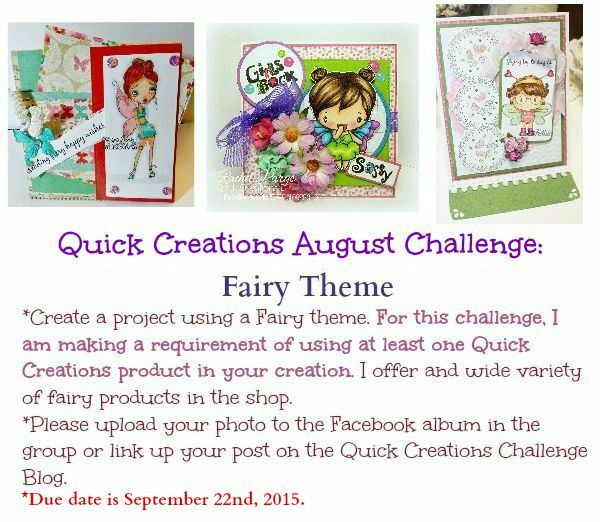 I have some inspiration for this month's challenge which is a fairy theme. 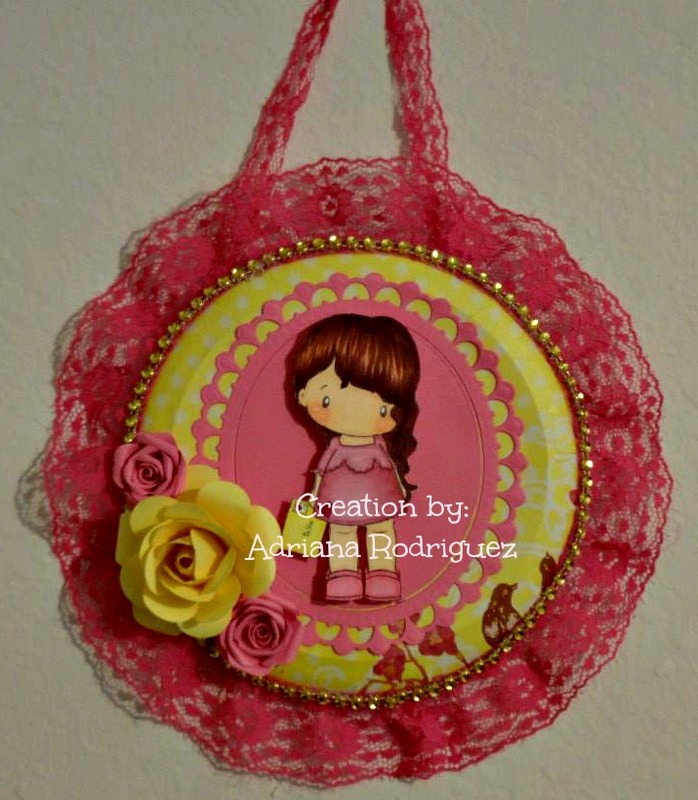 You can link up your own creations by following this link . I hope to see many of your beautiful creations in this challenge! Thank you for stopping by today! 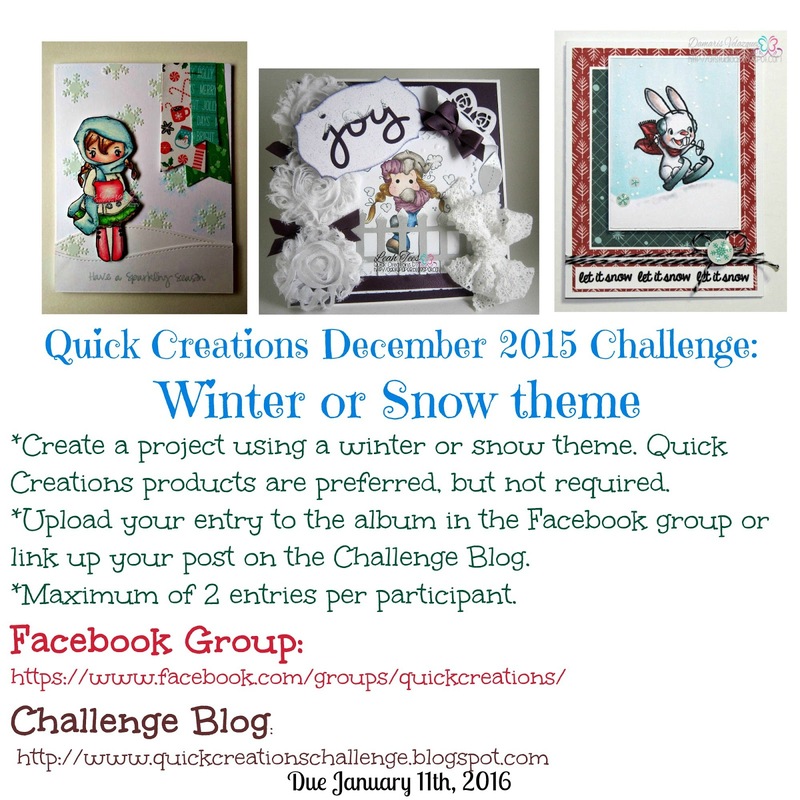 I hope you find some inspiration to participate in this month's challenge! Have a great day! Cindy used C.C. Designs Sugarplums "Bling Emma" and "Groom Trevor" which can be purchased by clicking the images below. Thank you to all the challenge participants! 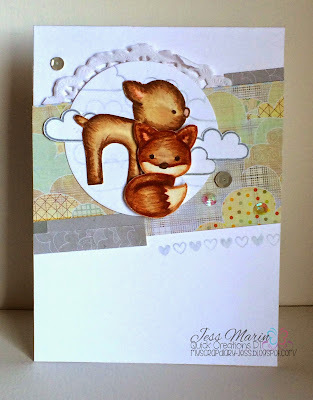 I hope you will join in the August challenge that is also posted on the blog. The theme of the August challenge is Fairy theme. Have a great day! Hello everyone! 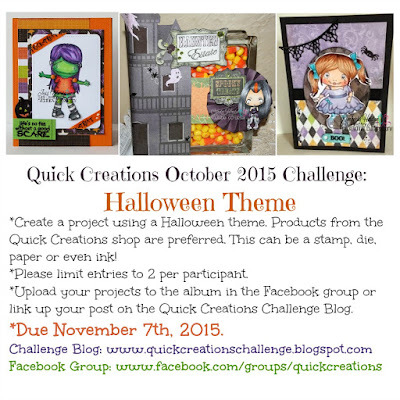 It is time for the next Quick Creations Challenge. 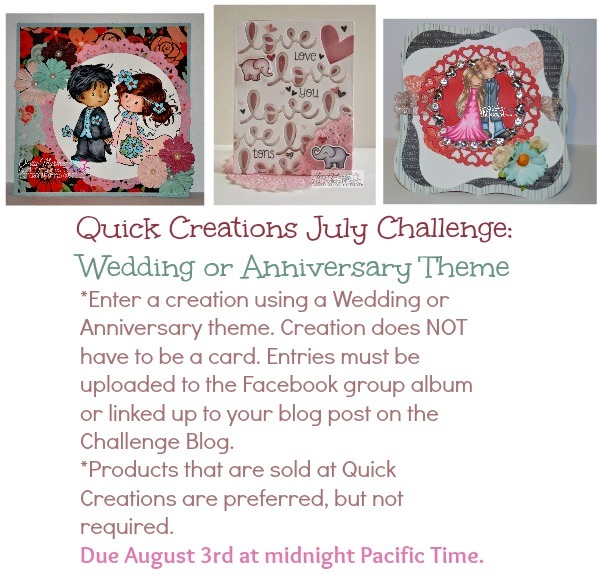 There are still a few hours left to enter to July challenge, the winner will be announced tomorrow, August 4th. 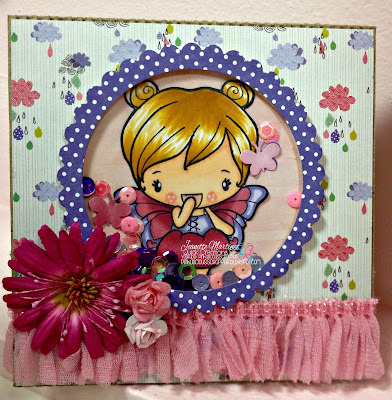 This month's theme is a Fairy theme! I hope you have fun with this one! 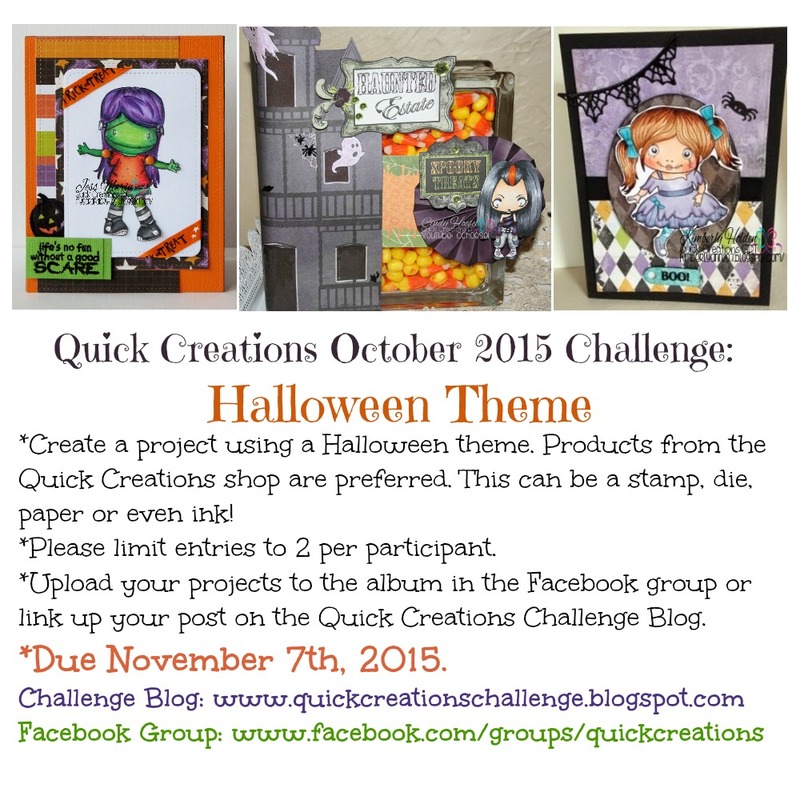 I hope to see many of your creations for the challenge this month! 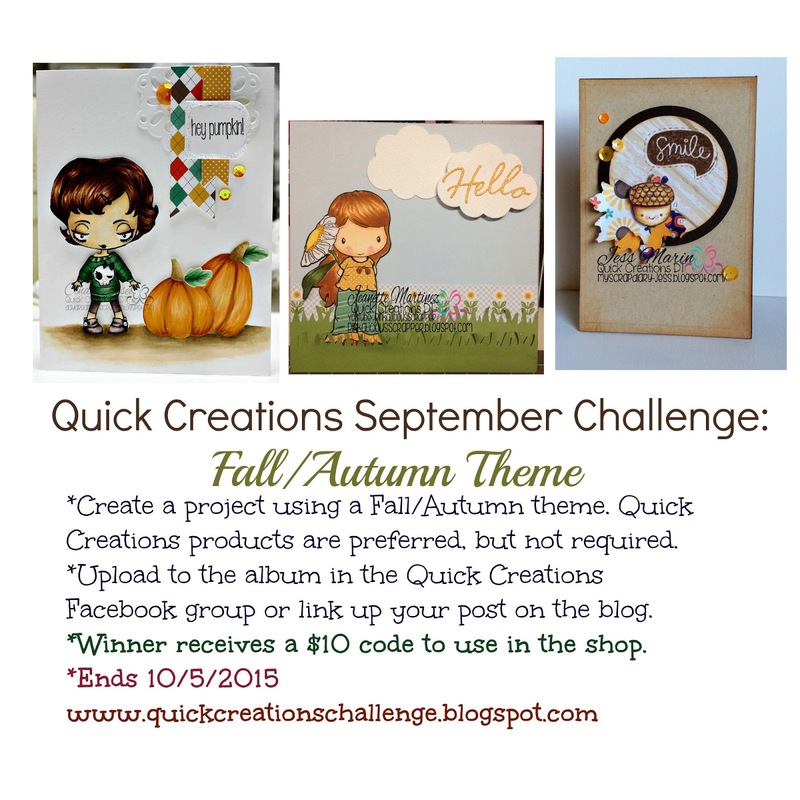 The prize for the challenge is a $10 code to use in the Quick Creations shop! Have fun creating! 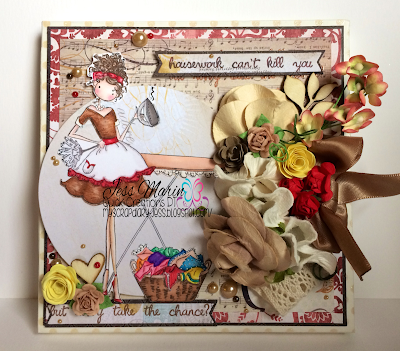 Check back later this month on August 10th for some challenge inspiration from our Design Team & Guest Design Team! 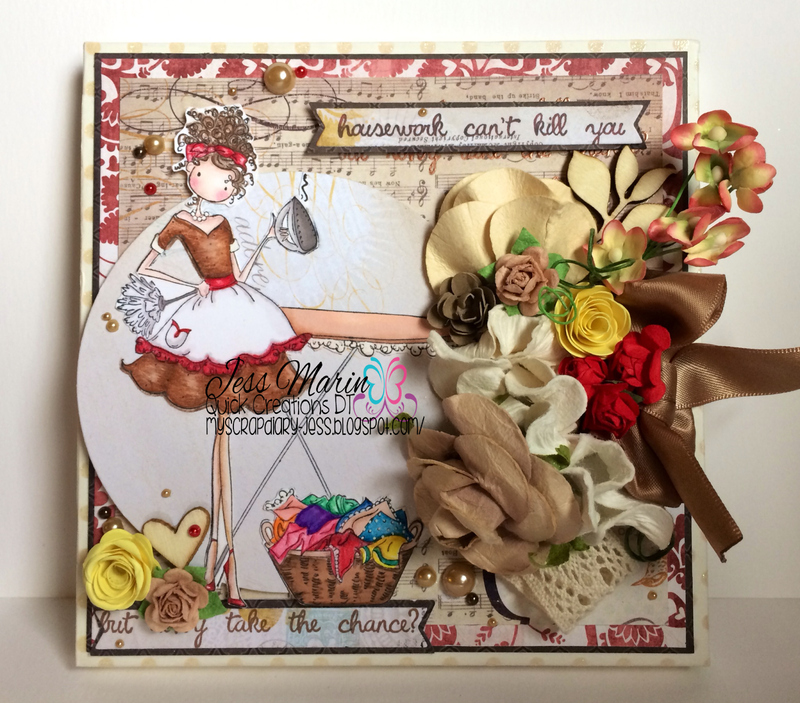 Quick Creations July Challenge and June Challenge Winner! Hello everyone! Before I get into the July Challenge, I will announce the winner for the June Challenge! The theme for June was "Anything Goes". 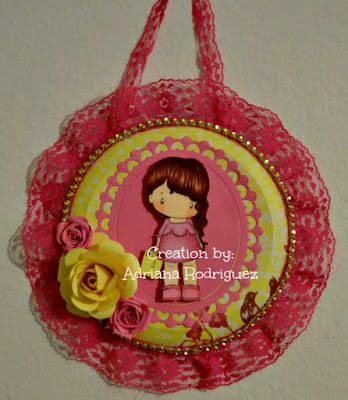 The winner of the challenge is Adriana Rodriguez for her beautiful creation below. Congrats, Adriana! Adriana used C.C. 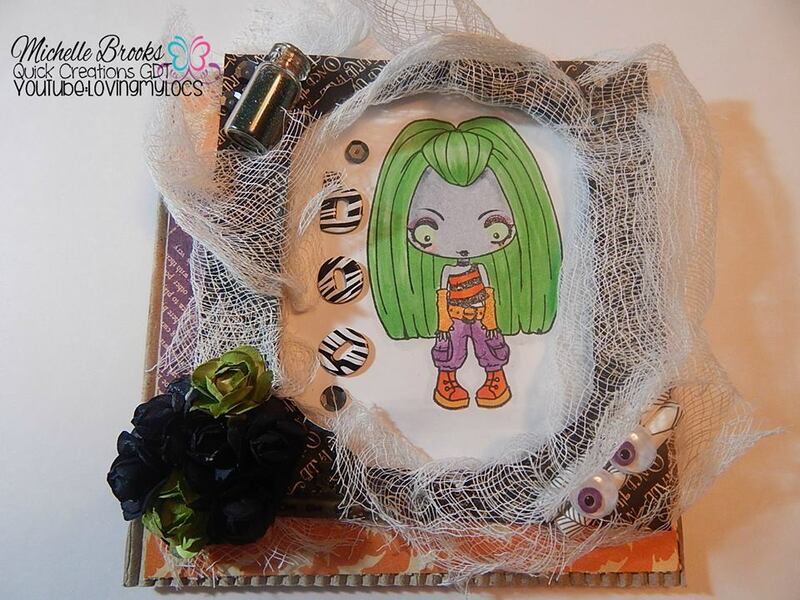 Designs Swiss Pixie "Love Letter Lucy" Rubber Stamp for her project. Congrats again, Adriana! 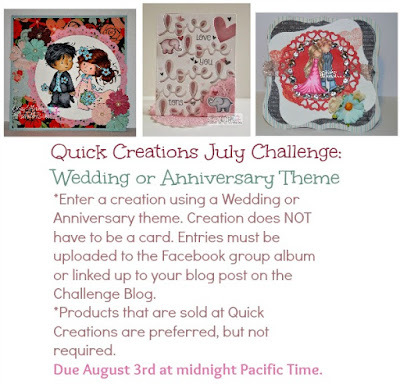 The challenge for July is Wedding or Anniversary theme in honor of my husband's and my anniversary that is just next week on July 9th! I am excited to see all your beautiful creations! 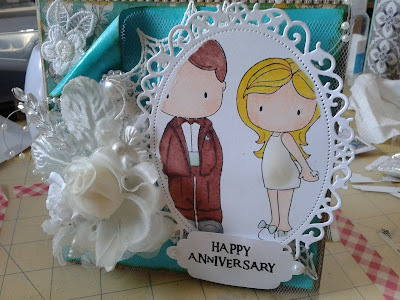 I used Tiddly Inks "Happily Ever After" Clear Stamp Set and Kaisercraft "Xo" 6.5" Paper Pad. 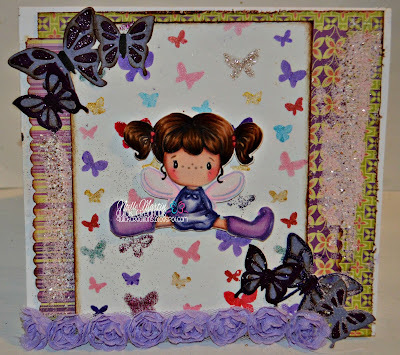 Olivia used Whimsy Stamps/Wee Stamps "Love Me Do" Rubber Stamp, Kaisercraft "Xo" 6.5" Paper Pad and Prima Marketing "Butterfly" Paper Flowers. 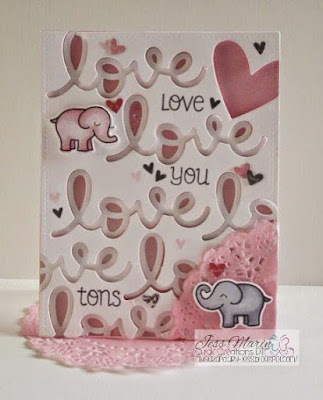 Jess used Lawn Fawn "Love You Tons" Stamps & Dies and also "Scripty Love" Die, as well as Doodlebug Design "Cupcake" Doilies. 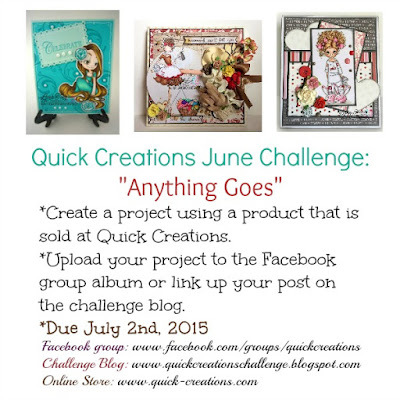 Quick Creations June Challenge: Anything Goes! 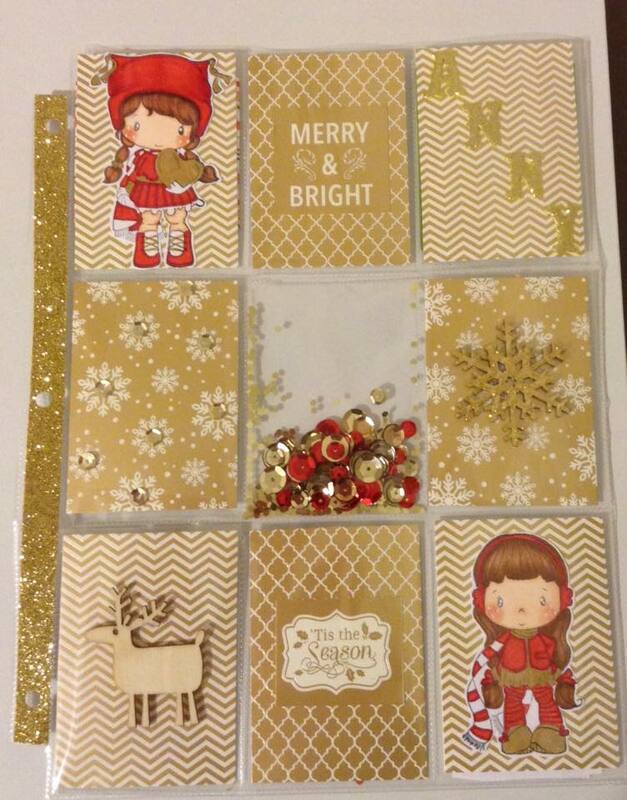 Michelle used Doodlebug Design "Sugar Shoppe" 6" x 6" Paper Pad and Lawn Fawn "Let's Polka" 6" x 6" Petite Paper Pack. Damaris used Santoro/Docrafts Gorjuss "The Collector" Rubber Stamp Set. Cindy used A Random Fan "Bubble Love" Unmounted Rubber Stamp and Prima Marketing "Butterfly" 6" x 6" Paper Pad. Jeanette used The Greeting Farm "Flutter Anya" Rubber Stamp. 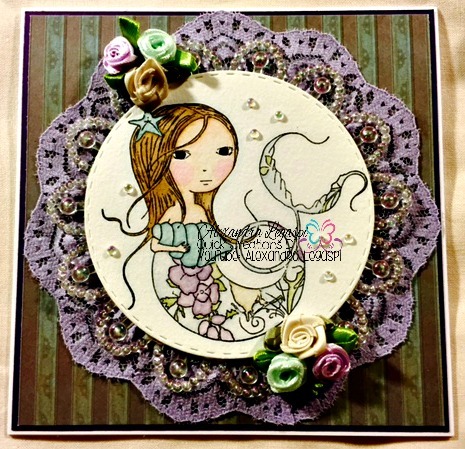 Leah used Magnolia Stamps "Violet Tilda" Rubber Stamp and American Crafts/Imaginisce "Little Princess" 6" x 6" Paper Pad. Lizzy used Little Darlings/Saturated Canary "Daddy's Girl" Unmounted Rubber Stamp, Prima Marketing "Everyday Vintage" Sugar Dots and Carta Bella "Words of Love" 6" x 6" Paper Pad. Rachel used C.C. Designs Pollycraft "Pixie" Rubber Stamp, Kaisercraft "Fairy Floss" Mini Paper Blooms and American Crafts Dear Lizzy "Serendipity" 6" x 6" Paper Pad. I hope these will give you some inspiration for this month's challenge. I look forward to seeing your creations!